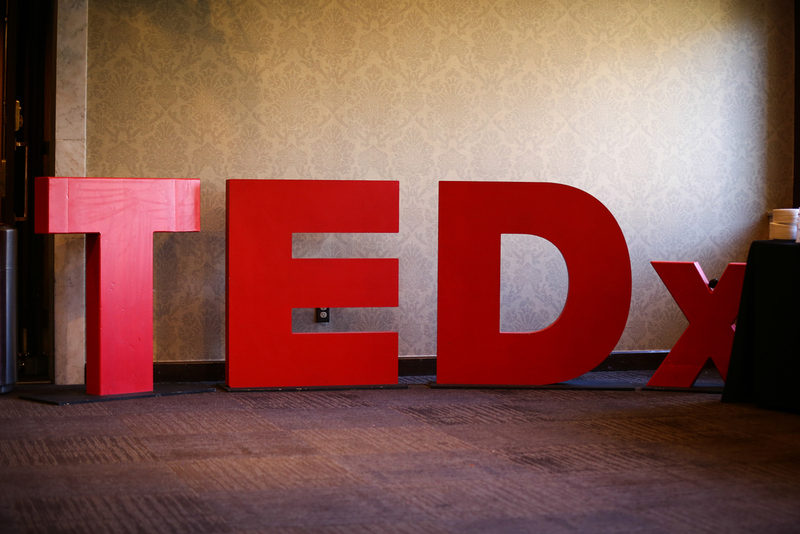 This past weekend, TEDx hit Edmonton, and I was fortunate to be tasked with documenting its success. For the unfamiliar, the purpose of a TEDx conference is captured well in its motto: "ideas worth spreading". The theme of this year's conference was uncertainty. The Royal Alberta Museum played host to the event - it was a day chock-full of brains and diverse talks from people far more interesting than myself. Speakers included Dr. Francescutti (President of the Canadian Medical Association), Jaxson Khan (prominent young leader), Titilope Sonuga (incredible spoken word) and Courtney Kirschbaum (consultant and motivational speaker), to name half. Following the event, the crowd descended upon SNAP Gallery to unwind. Who doesn't love an afterparty? I started handing my flash to people and taking their photo as they held it - too much fun. Those big, girthy, red, ubiquitous, helvetica letters. Randy, Nigel & Brendan prepping the mics. Check out the TEDxEdmonton Facebook page for updates. More photos will be posted there soon!